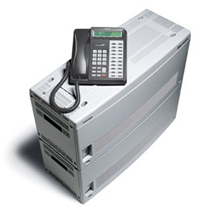 Supports up to 64 trunks or 72 telephones and combinations up to 112 trunks and telephones. It’s time to break down the barriers to greater productivity, take a giant leap toward improved communications, and embrace one of today’s most intelligent, versatile, and cost-effective telecommunications solutions. 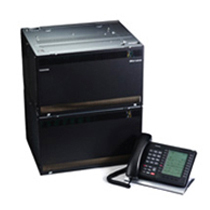 The Toshiba Strata CIX100 is the business telephone system that lets you work exactly as you need to today, while giving you the ability to cost-effectively add capabilities as you grow. Networkable with other systems. The Strata CIX100 lets you combine CO lines, telephones, and peripherals in any configuration — and allows the ability to build out your system as you grow. 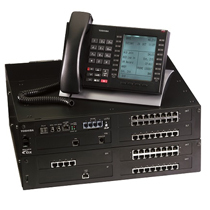 Expand up to 112 ports — and even more by networking multiple systems. Share vital information and functionality between your main office, branch offices, and remote locations. 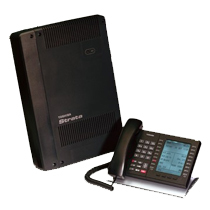 Take advantage of remote-user telephone connectivity that lets you use your newfound communication features anywhere you work with exceptional cost-efficiency. 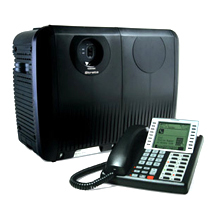 Take telephone functionality whenever you leave your desk with a full line of integrated cordless and wireless telephones. Promote effective communication with easy to use but sophisticated Stratagy voice processing capabilities that include Auto Attendant, Voice Mail, Unified Messaging, Automated Speech Recognition (ASR), Text-to-Speech (TTS) and Interactive Voice Response (IVR) capabilities. Answer incoming customer calls with utmost efficiency with ACD/MIS call-center features.